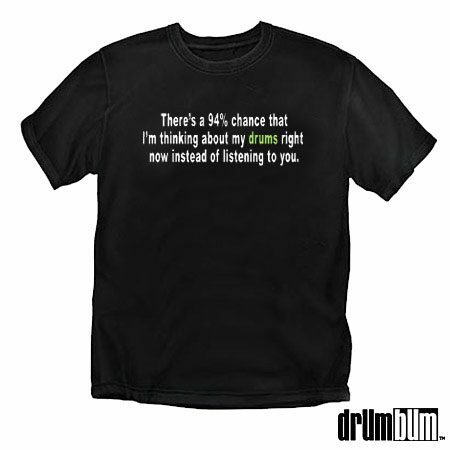 94% Drums T-Shirt – We aren’t listening. We are thinking about our drums! Now let everyone else know by wearing this awesome shirt! This t-shirt is 100% Cotton. Professionally screen printed. Sizes available: MD, LG, XL, XXL.